Blackpool Golden Retrievers Perm Reg. List of English breeders we have worked with, value and trust. 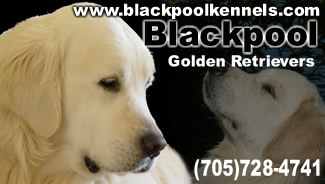 CKC Looking for obedience classes visit Barrie Kennel club's upcoming events. Classes at a very reasonable cost.